EXCLUSIVE AT NET-A-PORTER. 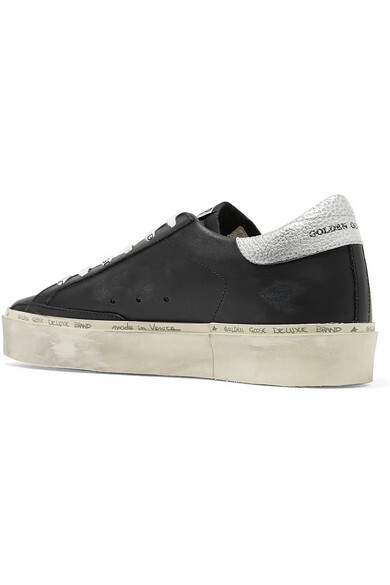 Golden Goose takes its hand-finishing one step further on these 'Hi Star' sneakers – they're detailed with signature distressing, but take a close look at the rubber platform soles and you'll see the label's name written at the top. 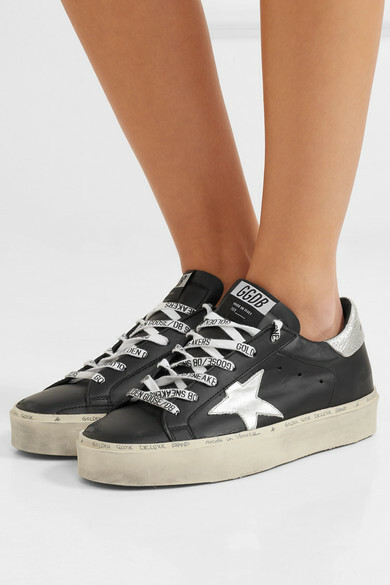 They're made from black leather with a lustrous silver heel tab and a star at each side. 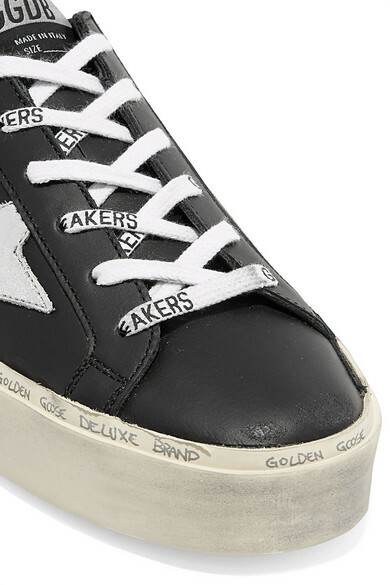 Fasten them with the branded laces, or swap out for plain ones. 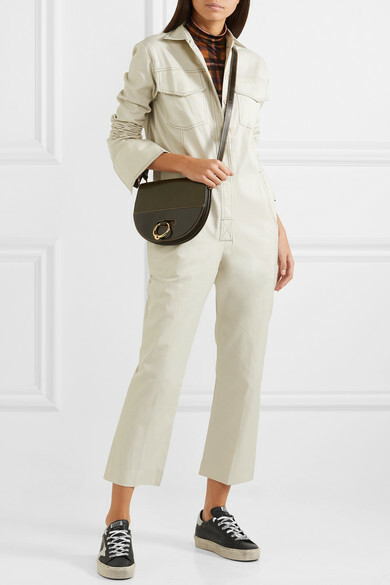 Shown here with: Orseund Iris Jumpsuit, Rokh Top, JW Anderson Shoulder bag.